Social Prescribing, sometimes referred to as “community referral”, is a means of enabling GPs, nurses and other primary care professionals to refer people to a range of local, non-clinical services. Recognising that people’s health is determined by a range of social, economic and environmental factors, Social Prescribing seeks to address people’s needs in a holistic way. It also aims to support individuals to take greater control of their own health. In reality it is the concept of the bridge between ‘medical’ (and in some variations more formal social care) interventions that distinguishes social prescribing from simply non-medical support or advice services as well as more general thinking about holistic support. The simplest examples being someone who presents as depressed or anxious at a GP, as a result of concerns about debt or caring responsibilities, or someone who regularly makes contact with formal services as a result of being lonely. The idea of social prescribing is that if you can address the underlying cause more appropriately through a non-clinical piece of advice or support it leads to better outcomes all round. Social prescribing is more holistic in its conception than previous initiatives such as exercise referral or a book prescription. There are many different models for social prescribing, but most involve a Link Worker or Navigator (in Norfolk often referred to as Living Well Workers or Connectors) who works with people to access local sources of support. Social prescribing schemes can involve a variety of activities which are typically provided by voluntary and community sector organisations. Examples include volunteering, arts activities, group learning, gardening, befriending, cookery, healthy eating advice and a range of sports. There is emerging evidence that social prescribing can lead to a range of positive health and well-being outcomes. However, robust and systematic evidence on the effectiveness of social prescribing is very limited. Social prescribing was mentioned in the NHS five-year forward view (https://www.england.nhs.uk/wp-content/uploads/2014/10/5yfv-web.pdf ). As a result, the phrase has become popular although the idea is not dissimilar to many others. As with any popular concept or initiative for both funding and positioning reasons organisations will often refer to their service delivery as social prescribing even if it really doesn’t fit the model above. In many cases these are just good support services trying to maximise their viability in a difficult climate but this can muddy discussions. Within social prescribing there are a lot of genuine models that operate significantly differently. A key focus of the differences is the role of the Link Worker. In some models this is merely someone who signposts to other services, whilst in others they can deliver a significant intervention themselves - be that focused on social welfare advice, coaching or some other elements of support. 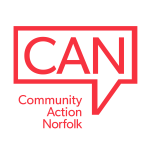 Community Action Norfolk is strongly of the view that in order to deliver value for money the Link Worker cannot simply signpost and must be able to deliver an intervention themselves (whilst still referring on to others services). A key challenge for social prescribing going forward will be both building up the evidence base of its effectiveness but also understanding which of these varied models, and in what circumstances, achieve the best outcomes. The resource implications of onward referrals is another key area of consideration. Data from the Rotherham Social Prescribing services showed 810 out of 939 beneficiaries were referred out to VCSE services (86%). Our research work suggests broadly that most VCSE organisations are seeing an increase in both the volume and complexity of clients they work with whilst seeing a reduction in resources. CAN has also looked at estimating the onward referral costs of social prescribing based on the pattern of referrals to services and likely unit costs. This model estimates that on average the direct cost (excluding cost of maintaining social infrastructure etc) will be in the region of £513 per client. Whilst in some cases this cost can be met by existing funding for services from contracts or grants in others it will be an additional resource need. It is vitally important that all social prescribing models adequately incorporate the resources implications of the onward work they generate. It is also vital that any evaluation includes these costs to not provide a biased sense of impact. Think about an analogy of a medical professional where only the cost of their time is considered but non-of the drugs or specialist care they make use of. Many organisations have long tried to build better referral links with public sector services, health in particular, recognising the holistic needs of clients. Social prescribing is an opportunity to do this in a more successful strategic way and one that is culturally understandable by NHS Providers. VCSE organisations also have a strong desire to help people who would benefit from our services and social prescribing is a way of reaching those people. However, this needs to be balanced by not being exploited through receiving increased volumes of clients without the resources or structures in place to do so in a sustainable way. In addition, organisations that have their own particular social or charitable mission must ensure this remains the focus of their activities, working in partnership where this is the best means of achieving their goals but not losing site of these to meet the agenda of others. Norfolk and Waveney’s Sustainability and Transformation Partnership plans include the objective of developing Social Prescribing across Norfolk.